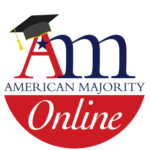 Earn an Activist Certification from American Majority! Take Effectivism Part 1 and Part 2 and earn your certification. Start today! Earn an Activist Certification from American Majority! If you are motivated to get out there and change things but not quite sure where to start, Effectivism Part 1 and Effectivism Part 2 will guide you through the basics of building effective coalitions, organizing effective events, understanding our government structure, how to hold the government accountable, and how and where to volunteer. You will learn to build effective coalitions; learn what voter fraud looks like; how to run voter registration drives; how to organize your groups, and how to work with the media.